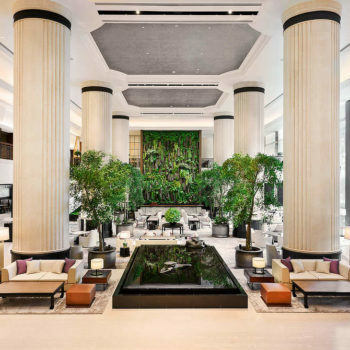 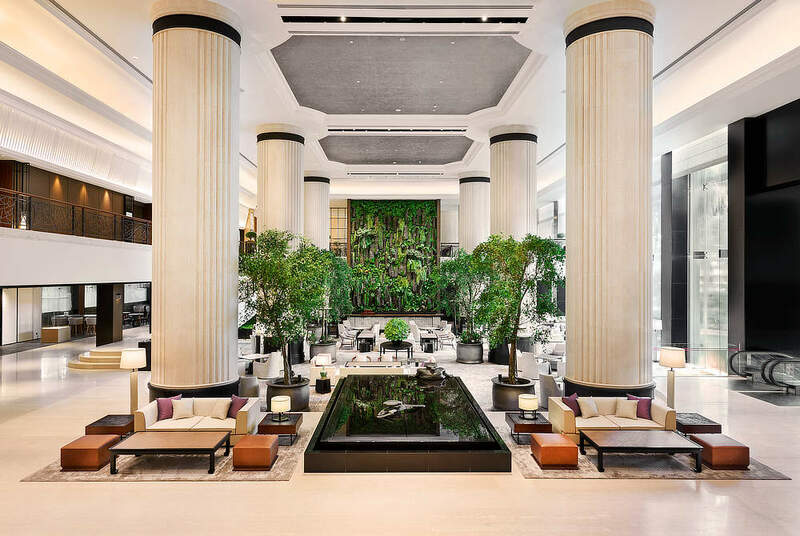 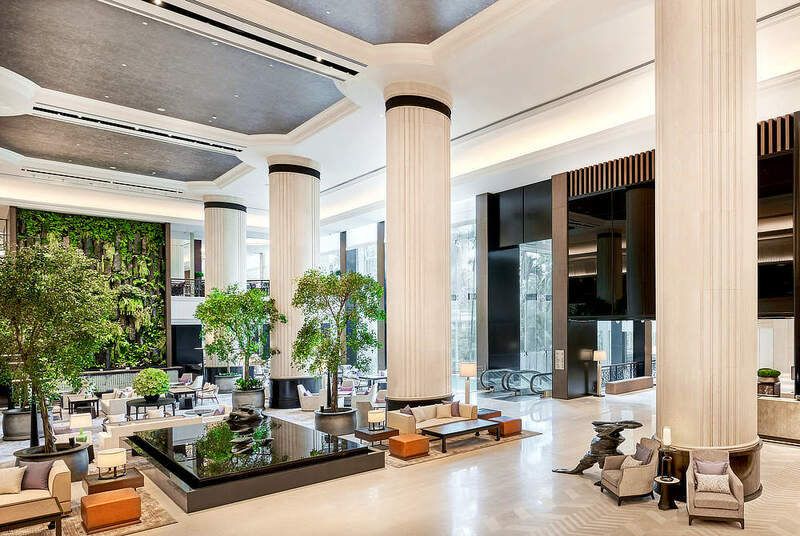 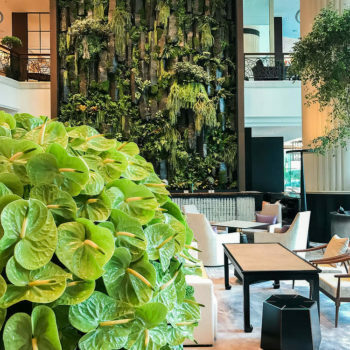 Inspired Exteriors were given the opportunity to work with the Shangri La Group in upgrading their flagship hotel lobby in Singapore. 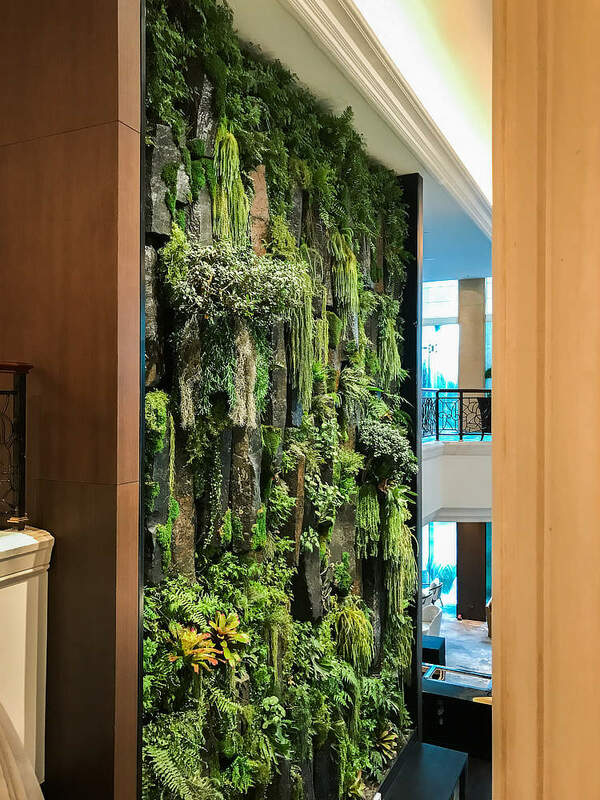 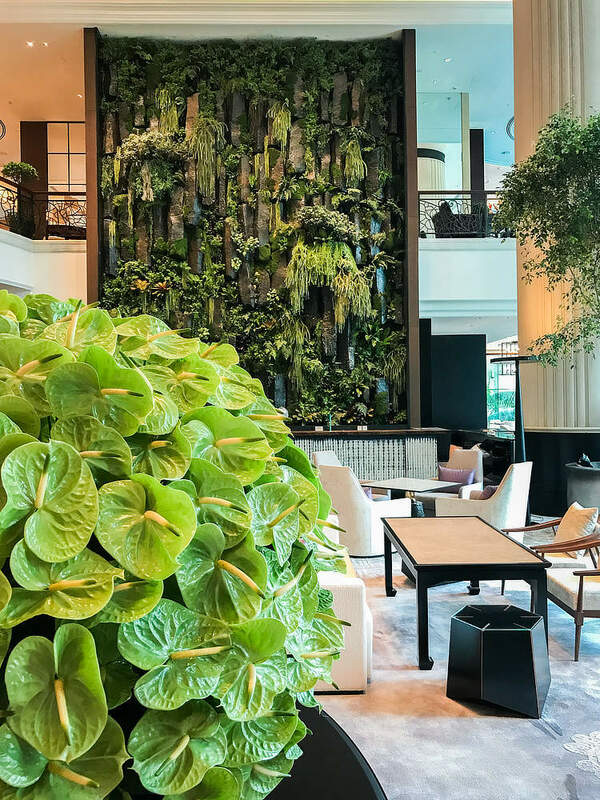 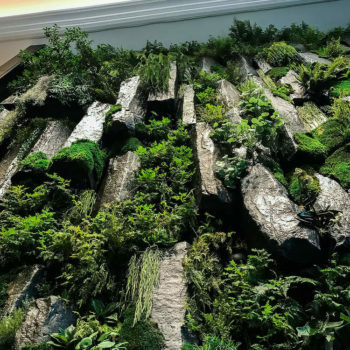 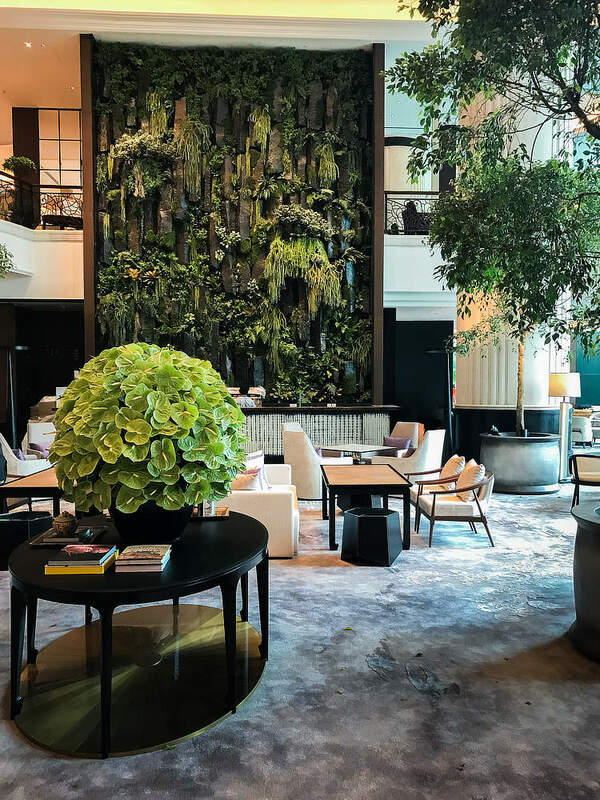 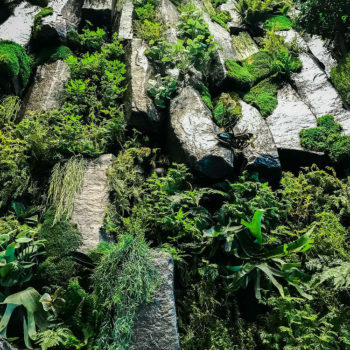 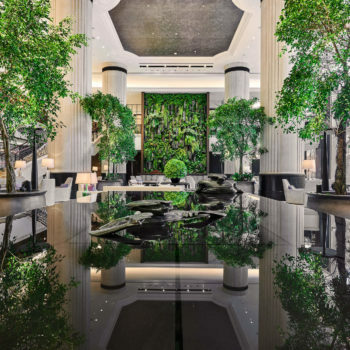 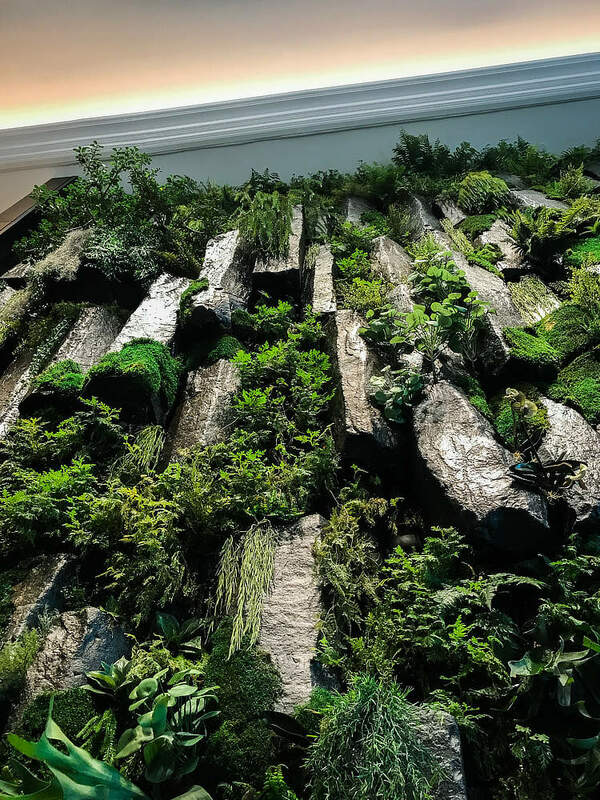 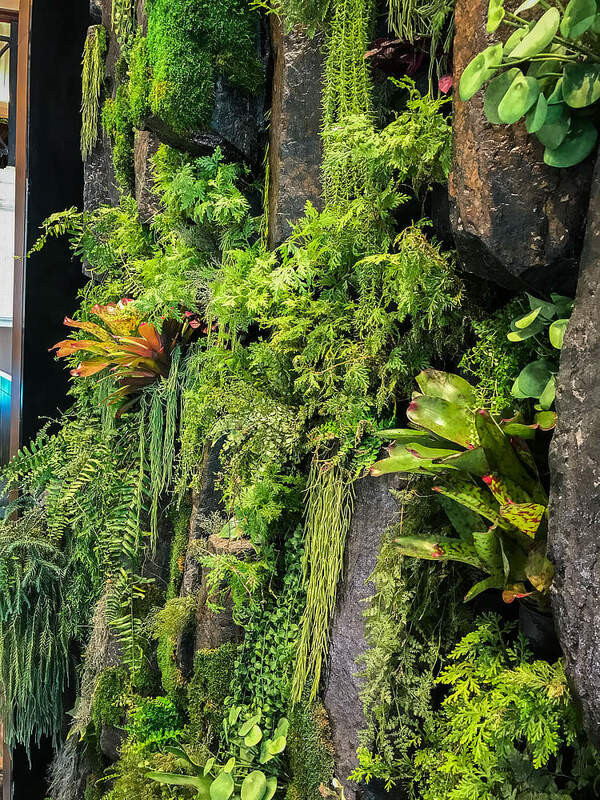 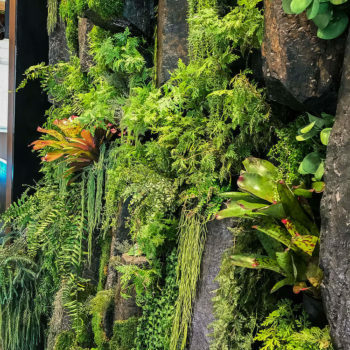 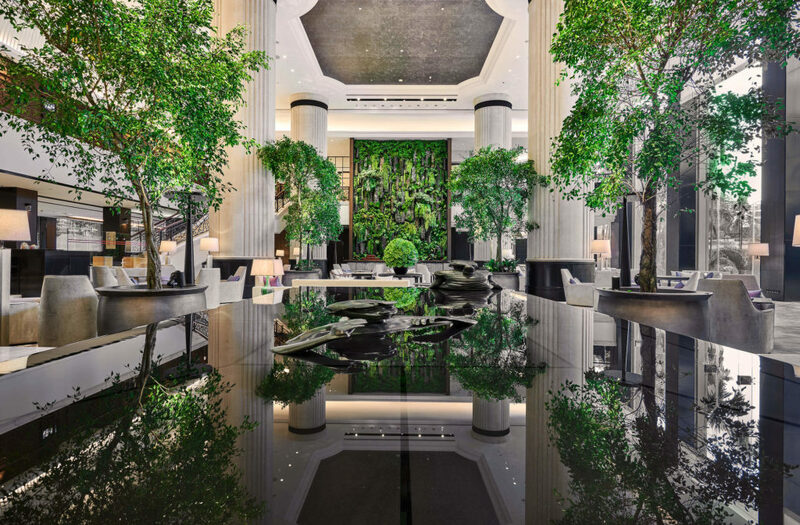 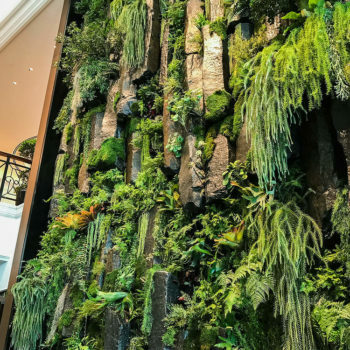 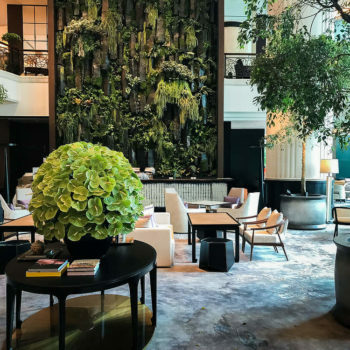 Charlie and his team worked closely with the Shangri La management team and award winning interior designer Mr Ryoichi Niwata from Bond studio in Japan to create a living green wall unlike any other in the world. 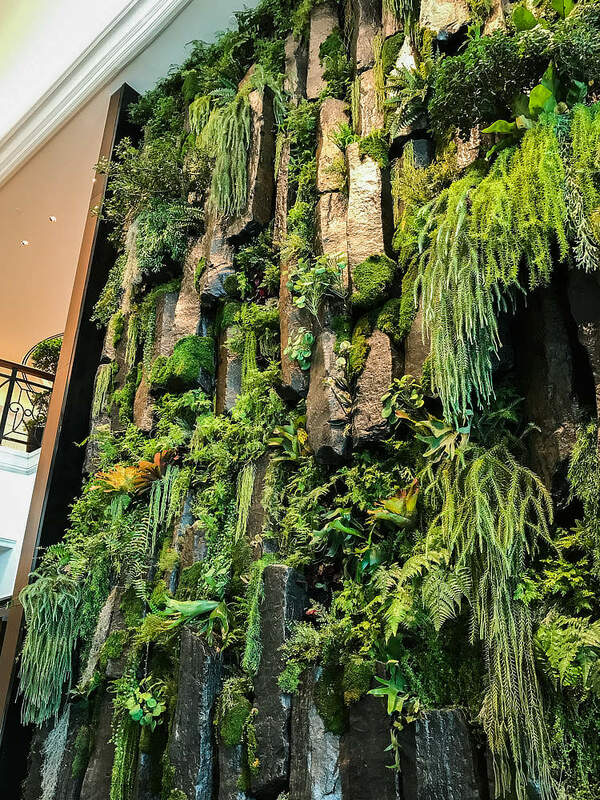 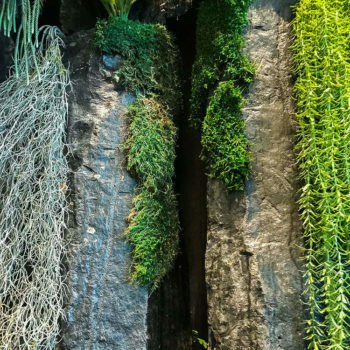 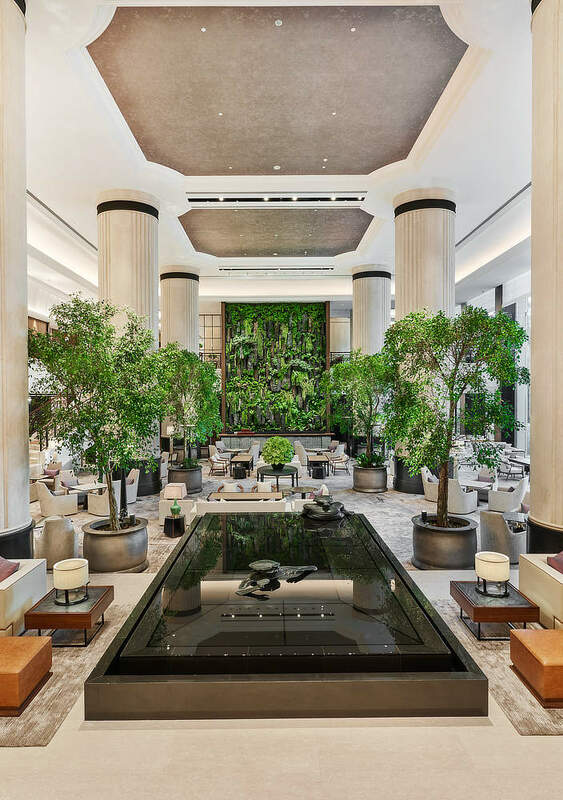 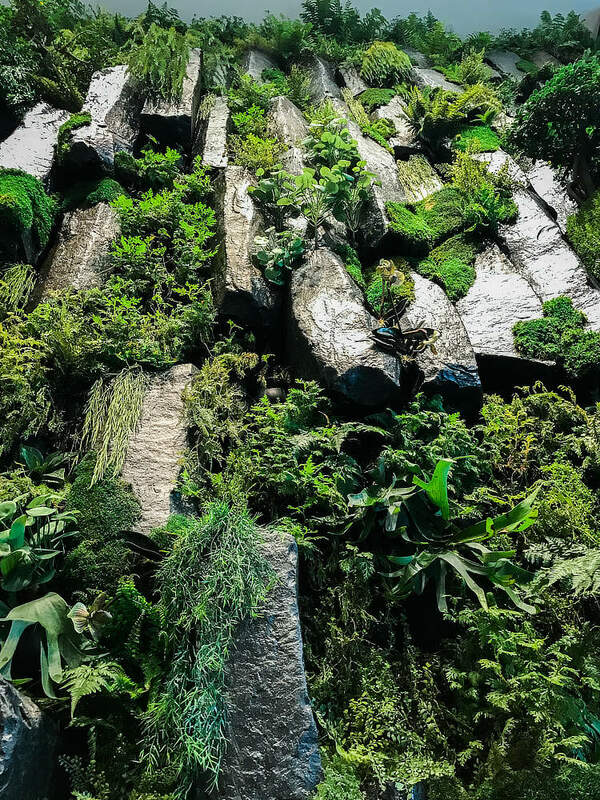 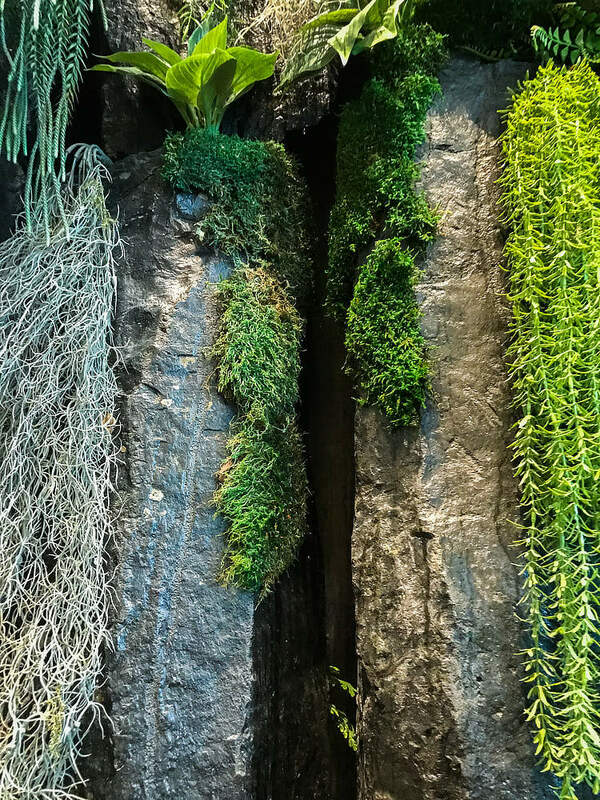 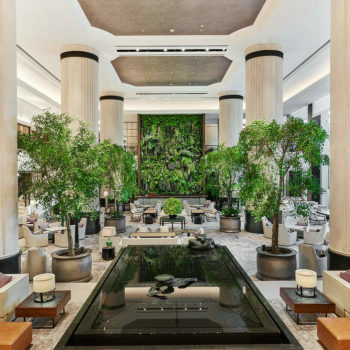 Inspired by a Chinese painting, the 35 tonnes of basalt are effortlessly floating above the lobby bar with a combination of ferns, bromeliads and other texturally rich plantings. 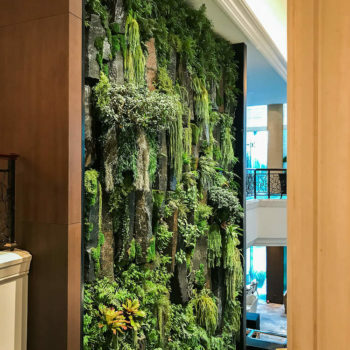 Charlie and his team also travelled to Singapore where they installed the works including the lifting, placing and fixing of all the stone as well as the green wall system that brought the feature to life. 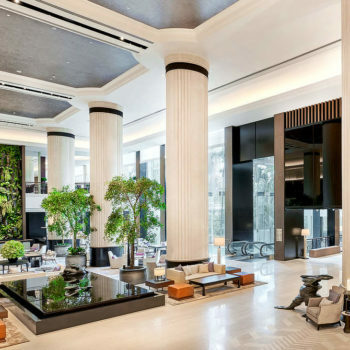 The tower wing renovation, and lobby including Charlies work was shortlisted for a BCI interior design award in 2018.